In her newest novel, Husband and Wife, author Leah Stewart tackles motherhood, marriage and infidelity. 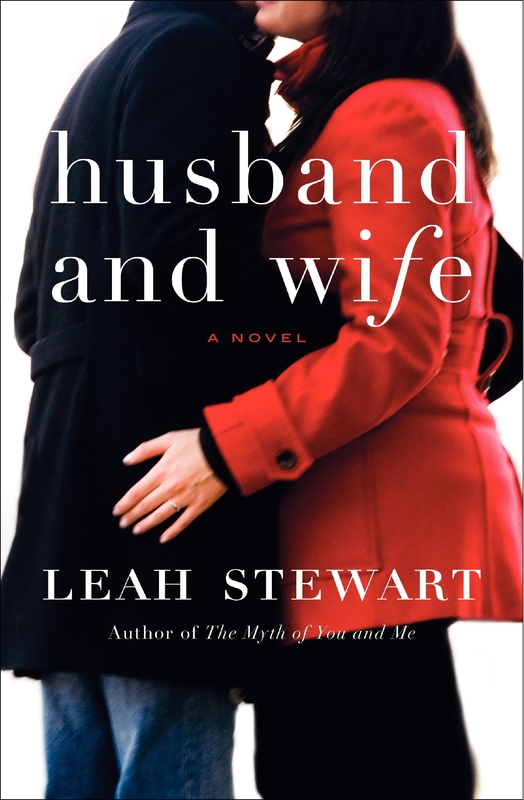 In her beautifully-written third novel, Husband and Wife, author Leah Stewart tackles some all-too real terrain: marriage, infidelity, identity, and the trials and tribulations of young motherhood. It’s certainly a topic that is covered often, because so many women can relate. But Stewart weaves a quiet tale that rings so true and fresh, you’ll feel like you’re reading about it for the first time and in the most honest and real way — like it’s not a book at all, but you going through it. If you’re looking for a great end-of-summer read, pick up Husband and Wife. Sarah Price is 35 years old. She doesn’t feel as though she’s getting older, but there are some noticeable changes: a hangover after two beers, the stray gray hair, and, most of all, she’s called “Mom” by two small children. Always responsible, Sarah traded her MFA for a steady job, which allows her husband, Nathan, to write fiction. But Sarah is happy and she believes Nathan is too, until a truth is revealed: Nathan’s upcoming novel, Infidelity, is based in fact. Suddenly Sarah’s world is turned upside down. Adding to her confusion, Nathan abdicates responsibility for the fate of their relationship and of his novel’s publication — a financial lifesaver they have been depending upon — leaving both in Sarah’s hands. Reeling from his betrayal, she is plagued by dark questions. How well does she really know Nathan? And, more important, how well does she know herself? For answers, Sarah looks back to her artistic twenty-something self to try to understand what happened to her dreams. When did it all seem to change? Pushed from her complacent plateau, Sarah begins to act — for the first time not so responsibly — on all the things she has let go of for so long: her blank computer screen, her best friend Helen, and the volumes of Proust on her bookshelf. And then there is that e-mail in her inbox — a note from Rajiv, a beautiful man from her past who once tempted her to stray. The struggle to find which version of herself is the essential one — artist, wife, or mother — takes Sarah hundreds of miles away from her marriage on a surprising journey. Wise, funny, and sharply drawn, Leah Stewart’s Husband and Wife probes our deepest relationships, the promises we make and break, and the consequences they hold for our lives, revealing that it’s never too late to step back and start over. Don’t miss our Leah Stewart Q&A and find out more about the author at www.LeahStewart.com.